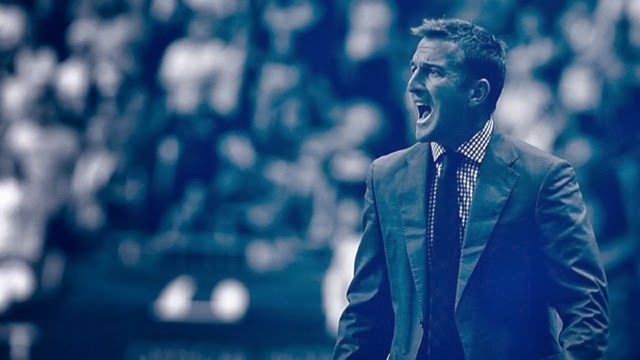 NYC is Blue: Coach Kreis! Just minutes ago, NYCFC confirmed that Jason Kreis will be the team's first head coach! Obviously we'll have a lot of details to talk about in the next few days and weeks, but it's great to have this made official. 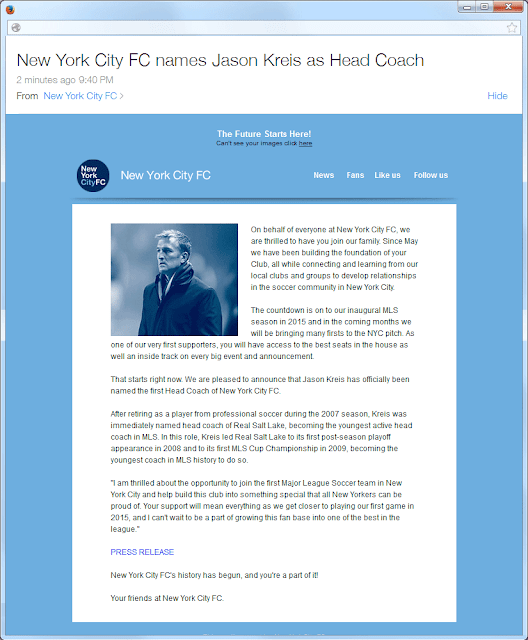 New York City FC is today delighted to announce that it has appointed Jason Kreis as its Head Coach. The team, which will begin playing in its inaugural season in 2015, was announced as Major League Soccer’s 20th Expansion Club in May this year. The role, which formally begins in January 2014, will see Kreis first travel to England to spend time at English Premier League associate club Manchester City FC. There, he will work closely with Head Coach Manuel Pellegrini, World Cup winner Patrick Vieira and Txiki Bergiristain, the club’s Director of Football, Champions League winner, and former Director of Football at FC Barcelona. During this time, Kreis will be immersed in all aspects of Manchester City FC, observing in particular, the club’s approach to coaching, training, and player development, with the goal of applying similar approaches to New York City FC. Kreis joins the Club having spent nearly seven years in charge of Real Salt Lake, during which time the team reached its first post-season playoff appearance in 2008, won its first MLS Cup Championship in 2009 and, most recently, came second by the narrowest of margins to Sporting Kansas City following a dramatic penalty shoot- out last weekend in the 2013 MLS Cup Championship. His playing record at Dallas Burn and Real Salt Lake is equally impressive, having been the Major League Soccer’s Most Valuable Player (MVP) in 1999, the third highest scorer in MLS regular season history and the first to hit 100 MLS career goals. After retiring as a player from professional soccer during the 2007 season, he was immediately named head coach of Real Salt Lake, becoming the youngest active head coach in MLS. Jason Kreis commented, “I am looking forward to making my contribution to New York City FC from the very outset. The opportunity to develop the first professional club based in New York City was impossible to pass up as was the chance to immerse myself in the football operations in Manchester observing some of the leading figures in European football. There will be a lot to do before our inaugural season in 2015, but I’m confident that with the support teams in the City organization, we will be well placed to hit the ground running. I would also like to take this opportunity to thank everyone associated with Real Salt Lake, including its fantastic fans for the many special years I spent there. I wish them all the very best for the future. On behalf of everyone at New York City FC, we are thrilled to have you join our family. Since May we have been building the foundation of your Club, all while connecting and learning from our local clubs and groups to develop relationships in the soccer community in New York City. The countdown is on to our inaugural MLS season in 2015 and in the coming months we will be bringing many firsts to the NYC pitch. As one of our very first supporters, you will have access to the best seats in the house as well an inside track on every big event and announcement. That starts right now. We are pleased to announce that Jason Kreis has officially been named the first Head Coach of New York City FC. After retiring as a player from professional soccer during the 2007 season, Kreis was immediately named head coach of Real Salt Lake, becoming the youngest active head coach in MLS. In this role, Kreis led Real Salt Lake to its first post-season playoff appearance in 2008 and to its first MLS Cup Championship in 2009, becoming the youngest coach in MLS history to do so. "I am thrilled about the opportunity to join the first Major League Soccer team in New York City and help build this club into something special that all New Yorkers can be proud of. Your support will mean everything as we get closer to playing our first game in 2015, and I can't wait to be a part of growing this fan base into one of the best in the league." 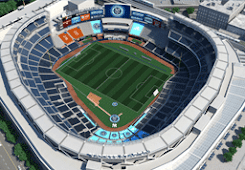 New York City FC's history has begun, and you're a part of it! Your friends at New York City FC. Good to have something concrete to talk about.